Genetix Displays | MERRICK Industries, Inc. 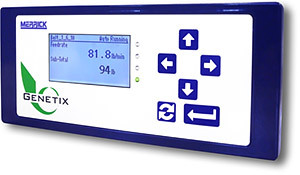 The Genetix Core Module (GCM) can be mounted up to 2,000 feet away from a feeder or scale. 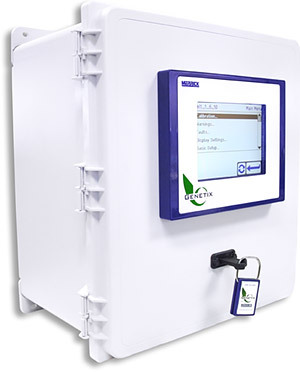 The user-interface display for Genetix can be mounted up to 2,000 feet away from the GCM. Each display (as well as the GCM) can be mounted in stainless and carbon steel, as well as non-metallic enclosures with a variety of NEMA Ratings. This allows for very flexible system layouts to match customer needs.